What a fantastic finish to one of my favorite series! It has been awhile since the second book came out, and Goddess Legacy came out in between books two and three- so I found myself a little confused about what was going to happen. 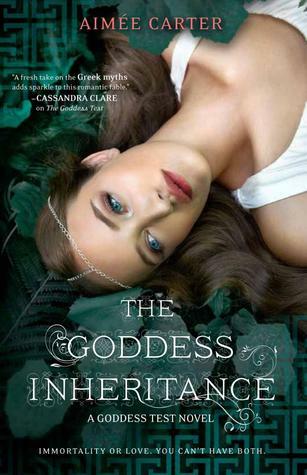 I do think, though, if you haven't read the Goddess Legacy collection- you ABSOLUTELY need to before you read book three. It gives such incredible insight into the story that you may feel a little lost if you haven't read it. The book had shocks around every corner and drama drama drama! Like every other book in this series, I feel like I have gone through an emotional rollercoaster ride throughout the book. I am not sure if it was because a great deal of this book was about the welfare of a newborn or because I am 9 months pregnant as I am reading this (in December), but I am a hot hot mess reading this book! I cried at least three times! I was incredibly satisfied by this book and am waiting for the novella I expect to come out after the release of this book, to tie up the small "loose ends" that are brought up at the end of the story. I would be very happy if the author revisited this universe- it would make me incredibly happy. I can't wait for her new series coming out at the end of 2013- she has become one of my favorite authors!